The City of Saint Paul and the Saint Paul Area Chamber of Commerce are leading a broad public/private partnership to implement the Full Stack action plan. A Steering Committee has been established to guide this work. potential, and its role in the greater metro region. Developing people: Build and support the places and events where innovators connect and support key pipelines for growing innovation talent in Saint Paul, especially among under-represented populations. work environments and amenities that help Saint Paul innovation companies recruit and retain talent. A 31-member Steering Committee, featuring experts in technology, innovation, economic development, marketing real estate, and workforce development, is guiding Full Stack. The Steering Committee has established three task forces dedicated to taking actionable steps on Full Stack's three main strategies - telling the story, developing people, and developing innovative places. 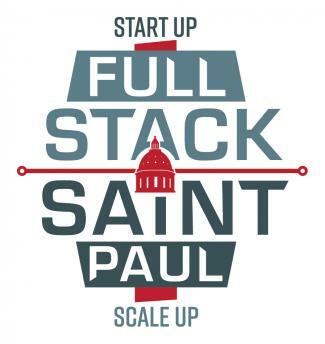 Full Stack Saint Paul was created by the Saint Paul Innovation Cabinet, a focused effort to identify ways to expand job and business growth around the technology and innovation sectors in Saint Paul. Innovation companies are critical because their jobs do not just benefit individual employees, they benefit all of Saint Paul. This group’s work built upon on the local business community’s existing momentum to develop targeted strategies aimed at building an environment where more innovative businesses can locate and continue to grow.